Inspired by girls' free spirit, this top features a beautiful horse graphic (check out those lashes!) 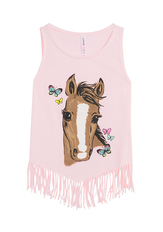 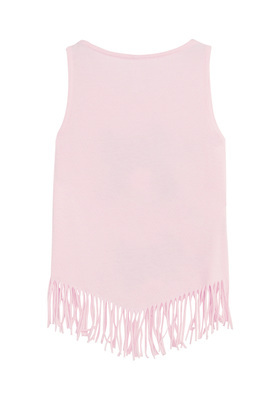 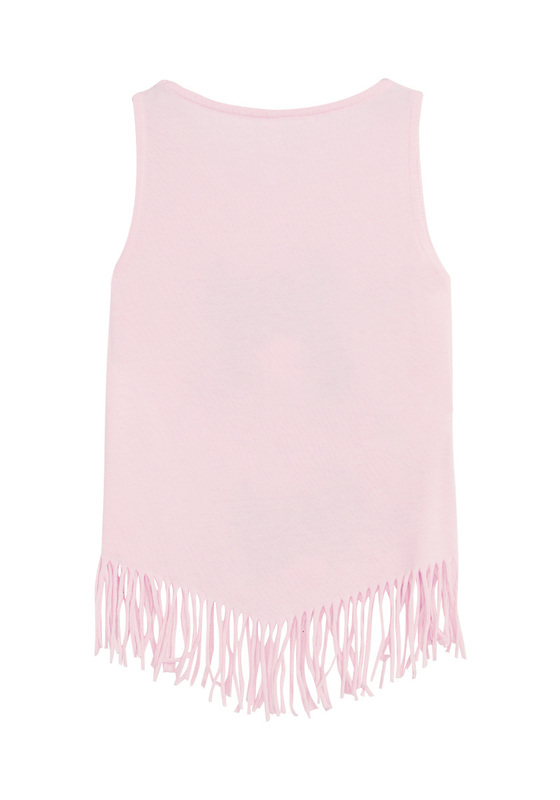 with eye-catching butterflies and fun fringe hem. Pair with our matching print leggings or her favorite shorts.